Modesto Overhead Door Inc. is an authorized dealer of Janus International Group, the best commercial doors on the market. We carry many other brands, if you are looking for something specific, call us and we will make it happen. With over 15000 doors installed since our founding, we will help you find the right solution for your business. We are an authorized dealer and installer of all LiftMaster, Janus and Manaras Commercial Openers as well; picking the right open is a challenge. Call us today to let us help find your best solution. 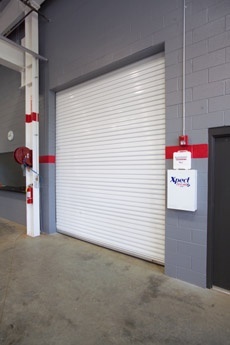 Finally, we offer a large variety of security rolling doors for many commercial uses. The world of security rolling and side folding grilles and closures for storefront openings or counters is always changing. Let us help you stay up to date with the best security available. Call us to set up an estimate and location set up.